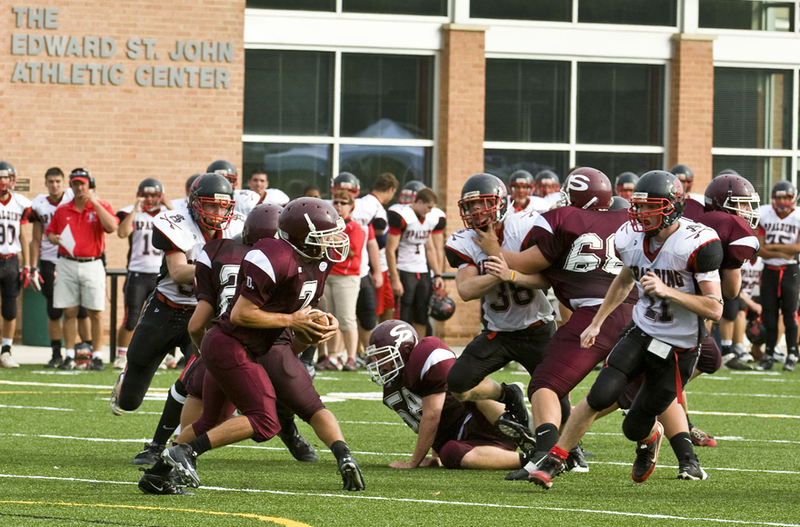 The 44,000-square-foot Edward St. John Athletic Center at the Severn School opened in 2008. The Severn School is an independent, coeducational college preparatory day school with more than 800 students from preschool through 12th grade. Mr. St. John’s $5 million gift became a galvanizing force for our entire community. Yes, the new Edward St John Athletic Center has certainly changed Severn’s physical landscape, more consequently however, his inspirational challenge to match his gift moved the Severn community to do so in record time and dollars – raising over $5 million in less then two years.